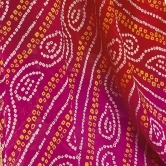 Design brings flashy patterns on filmsy fabric simlest style into somthing worthwhile. This bandhani Multicolour color Georgette saree comes in Jari and thread embroidery work with Readymade Lace Border Bandhani georgette and foil fabrics pallu. The saree comes along with un-stitched Red color Raw Silk blouse peice. 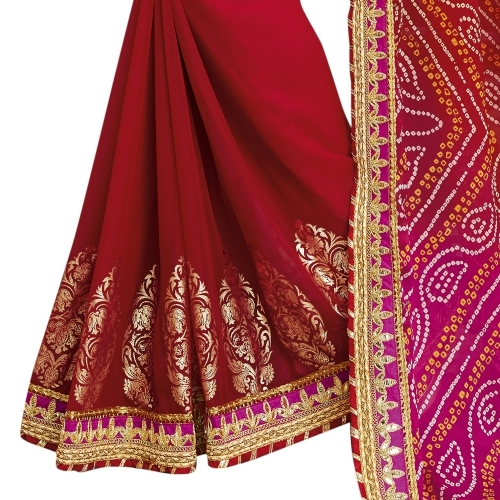 This saree is an ideal outfit for all party, bridal, wedding, and social occasions. 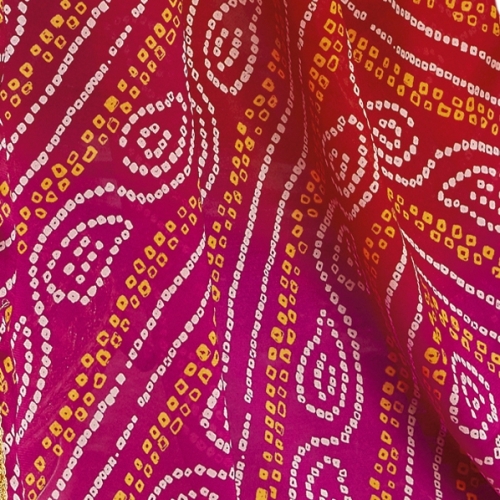 This saree measures 6.4 m, including a 0.80 m blouse piece. Note:Slight variation in actual color vs. image is possible due to photography lighting.